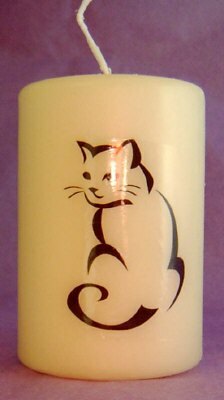 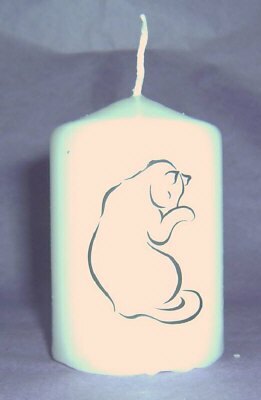 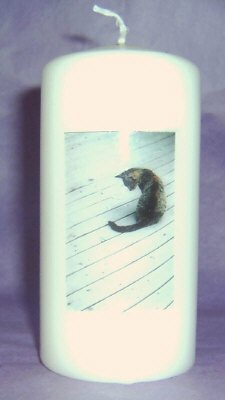 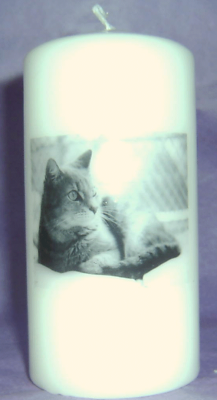 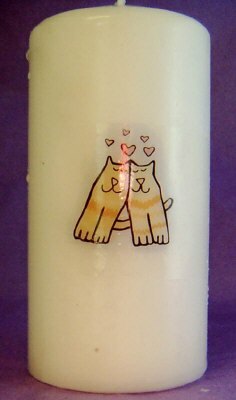 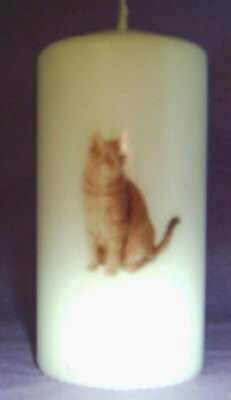 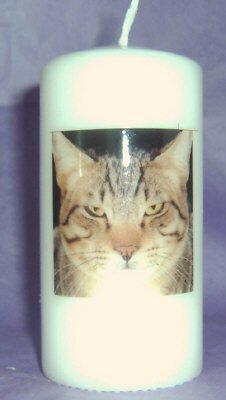 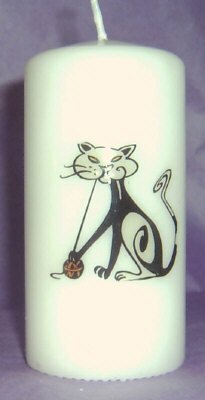 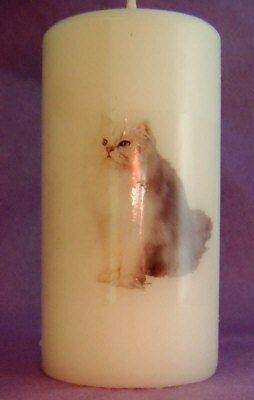 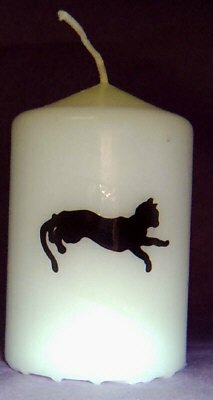 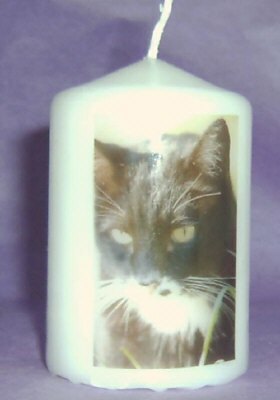 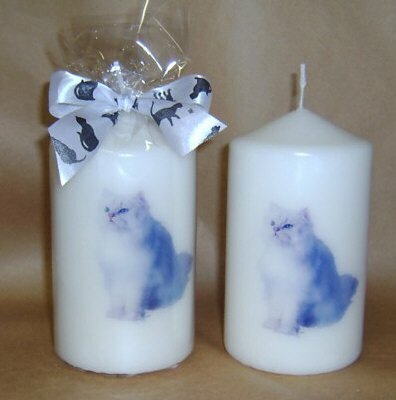 Candles with various pictures of cats. 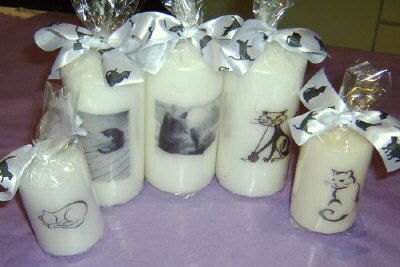 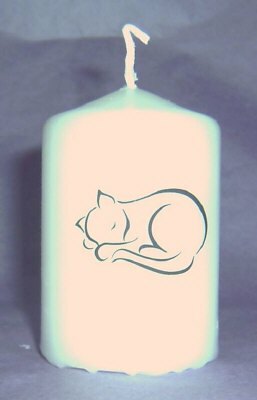 Choose picture then size of candle from the drop down boxes, Click more images to see all the designs. 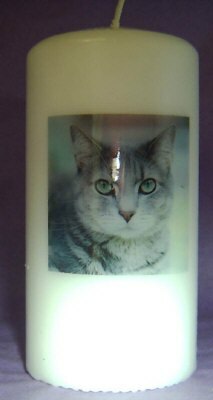 Or send in your own picture "my own choice"